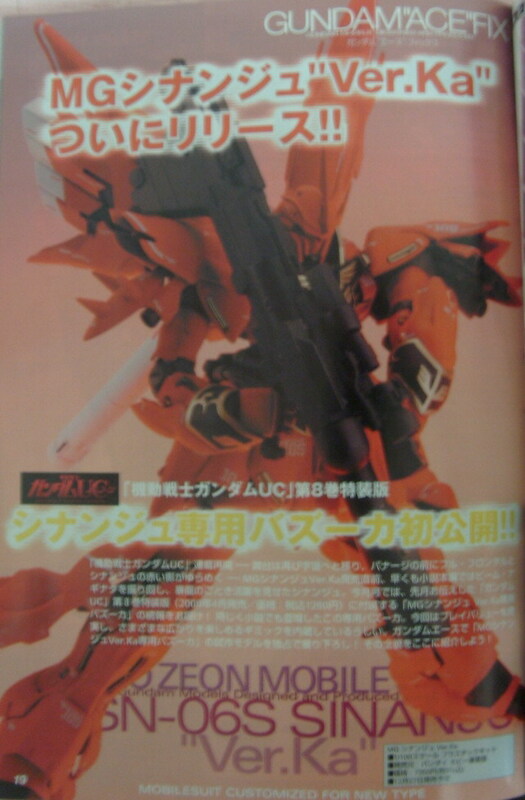 Bazooka for MG Sinanju Ver. 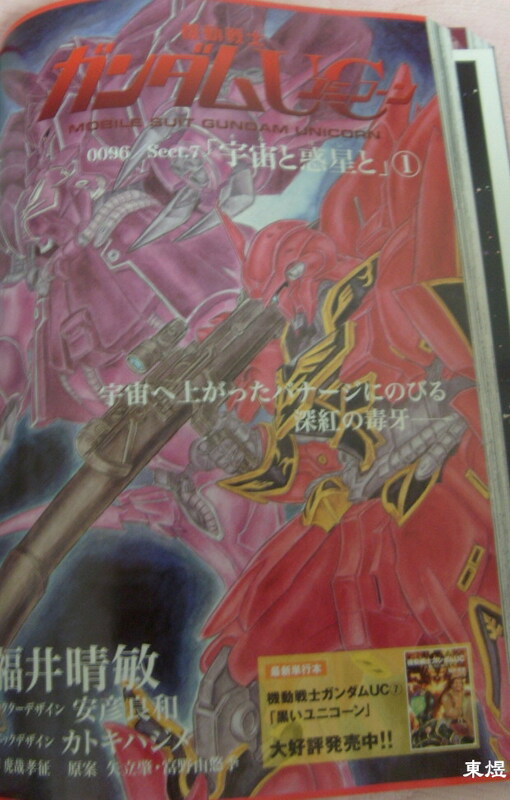 Ka that come with Unicorn novel Vol 8. 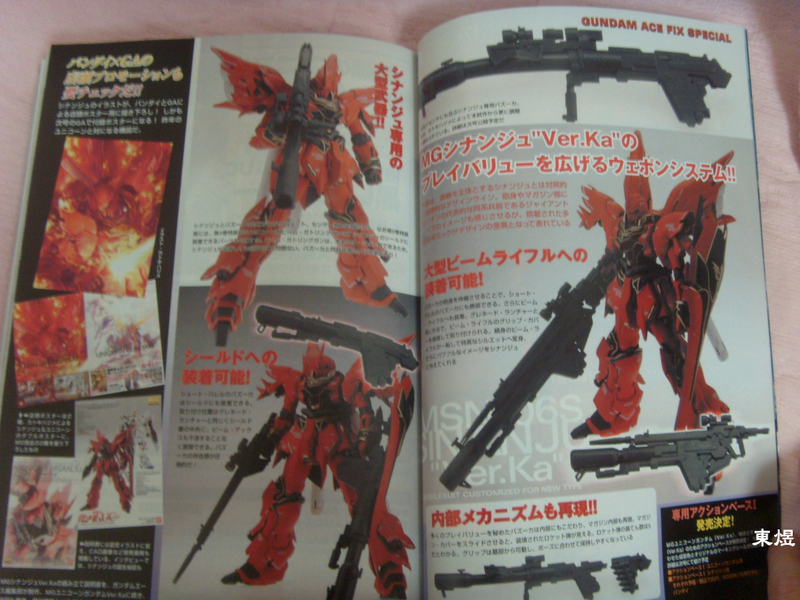 Hmm… Where can I get those Sinanju and Unicorn posters on the top left of the first image? ^ what make you think that Knolly thought that he can get the poster for free online? Gentlemen, control yourselves. This isn’t a competition for the place of world’s biggest douchebag. That MS is pretty cool. 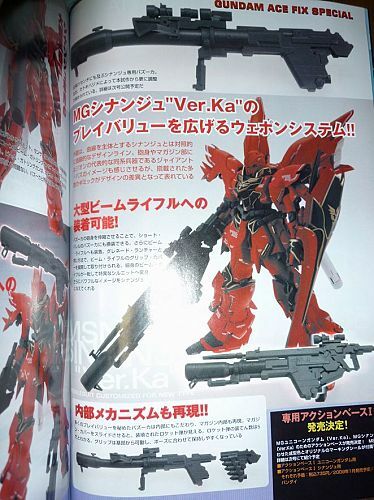 Who knew Sazabi had a slimmed down brother? Another dumber comment from V. you just got another delusion about all people in the Earth are doing piracy like you do and just find free things. Oh i forgot you don’t has any money , do you? wkkkk..
fag don’t read properly actually fit to you v than anyone don’t know about some info but still try ask to another person. 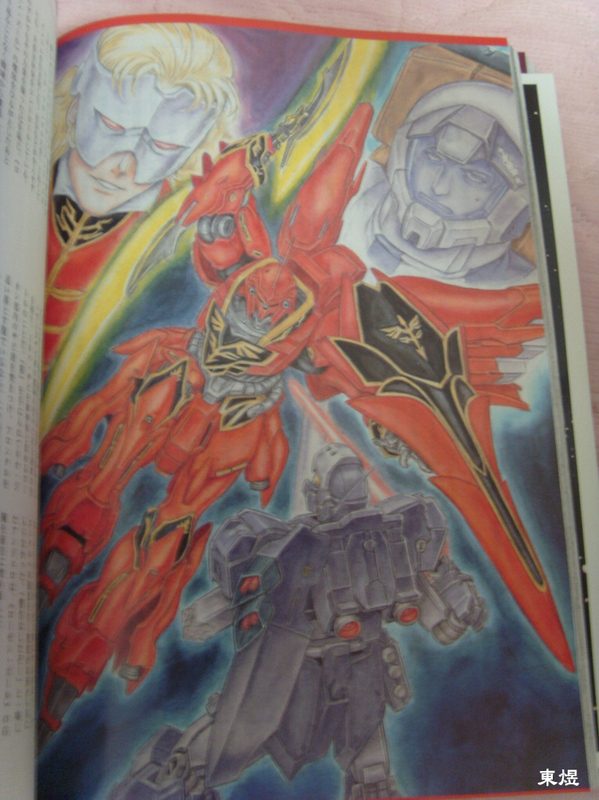 the words are clearly ‘get the poster’, not to ‘get the poster free’, hikikomori fag V.
Hey clean up your mouth with a bar of soap, and keep your dumb comments outside srw hotnews! Who cares if codename:v made stupid comment, just answer the person who was asking the question about the posters? Noob!